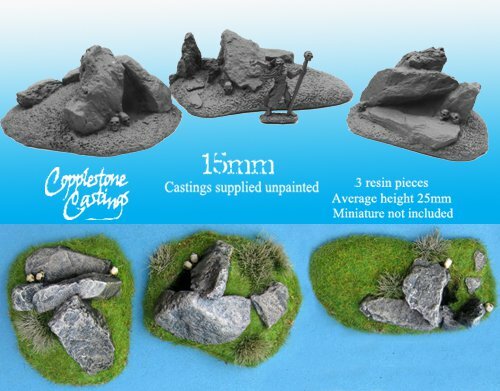 3 resin rocky outcrops with cave entrances. Approximate height 25mm. 15mm miniature not included.